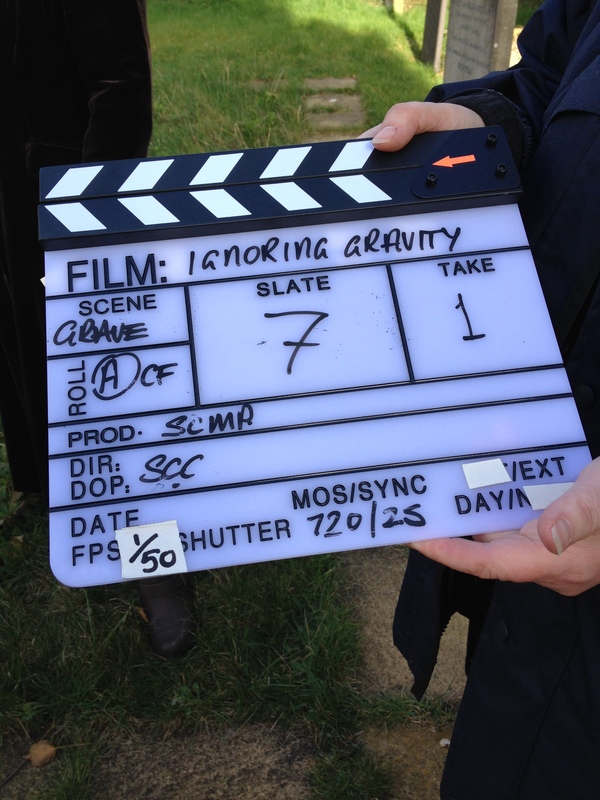 The book trailer for Ignoring Gravity was a real team effort including a beginner [me] and experienced professionals [everyone else]. The team at Nicky Stephen Marketing had pulled together the film specialists. I wrote the script and found Vicki Shearing, the actress whose voice you hear on the film. Vicki was the only team-member not present on filming day, having recorded the script a few days earlier. Rain was forecast at 10am on our chosen cold day in March so we assembled early and prepared to do the outside shots first, shooting out of sequence. In fact, the rain held off until the afternoon so, for the book trailer, we didn’t need Plan B. The author interview was another story, the story of ‘Filming the author interview’ is coming soon: suffice to say we needed Plan A, B and C for that one. So it was a casual start at our chosen location in the pretty Leicestershire village of Hoby. We took our breakfast mugs of tea on a tray to the graveyard of Hoby Church. 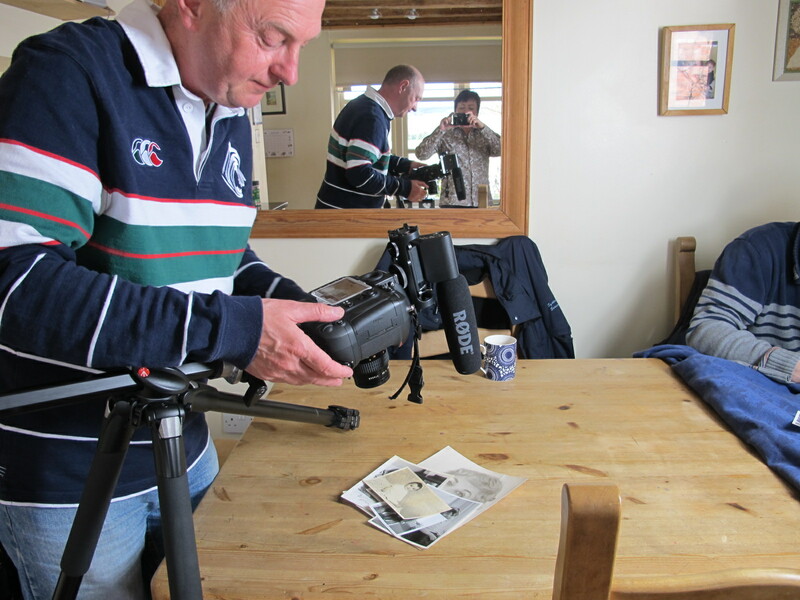 The first lesson I learned about filming is that in winter the crew operates on hot drink and regular food. 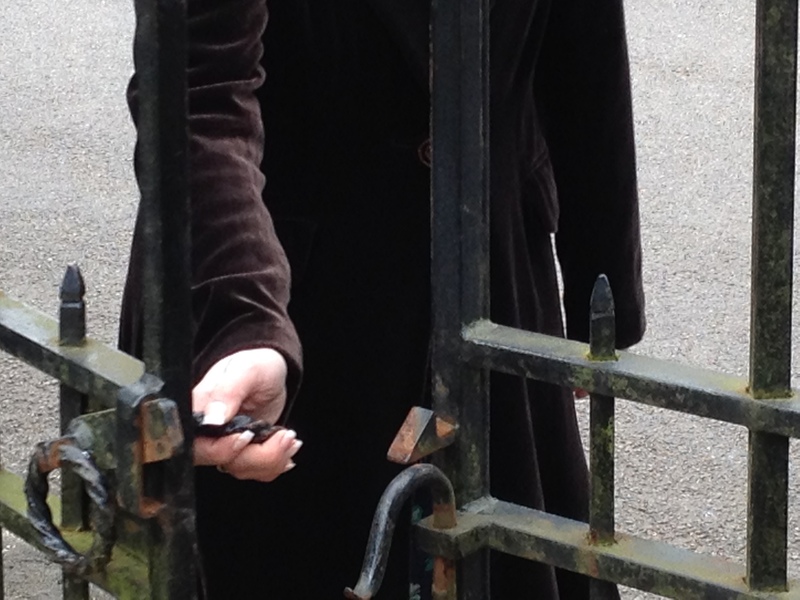 Jane Cowan our model arrived in a wonderful long sweeping velvet coat, a bit Richard E Grant in his Withnail & I days. 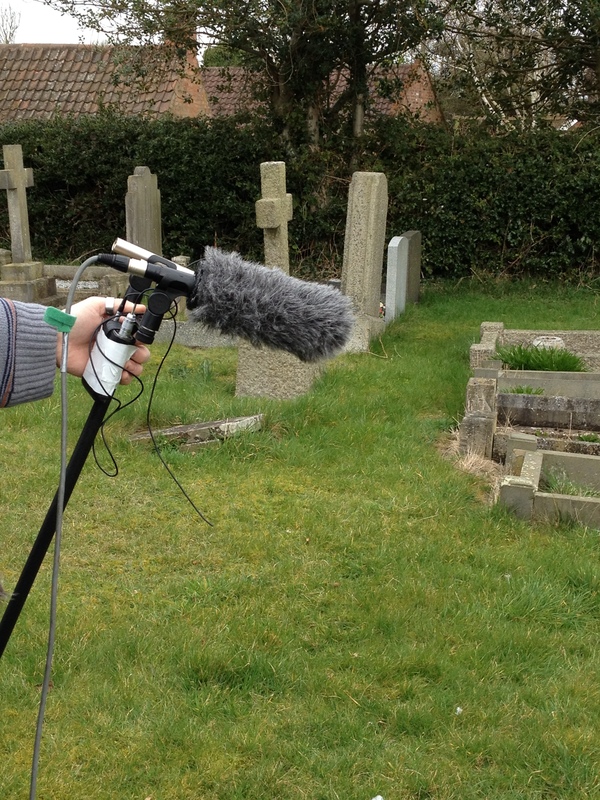 Simon Cooper, the film producer, patiently explained where his camera would be sited and where exactly he wanted her to walk, to pause, to run her hand over an old gravestone. I explained the motivation of her character. Ich Mowatt, sound engineer, did mysterious things with his sound equipment. However he was not in charge of a helicopter, passing cyclists chatting loudly, and the local bus passing by, but reacted with a smile and a shrug of his shoulder. It’s all part of the business, sound is everywhere. In fact Ich showed me that when filming outdoors, the finished effect is better if the sound is natural. So I tried not to worry too much about the howling wind and rustling leaves, and tried to think of it as atmosphere. After a lot of standing around and dealing with technical issues – like a wheelie bin in shot beside the gate, and too much bird poo on top of a gravestone we wanted to use – we moved to our second exterior location. We had pre-selected a front door in the village because of its beautiful knocker and the rich sound it made. 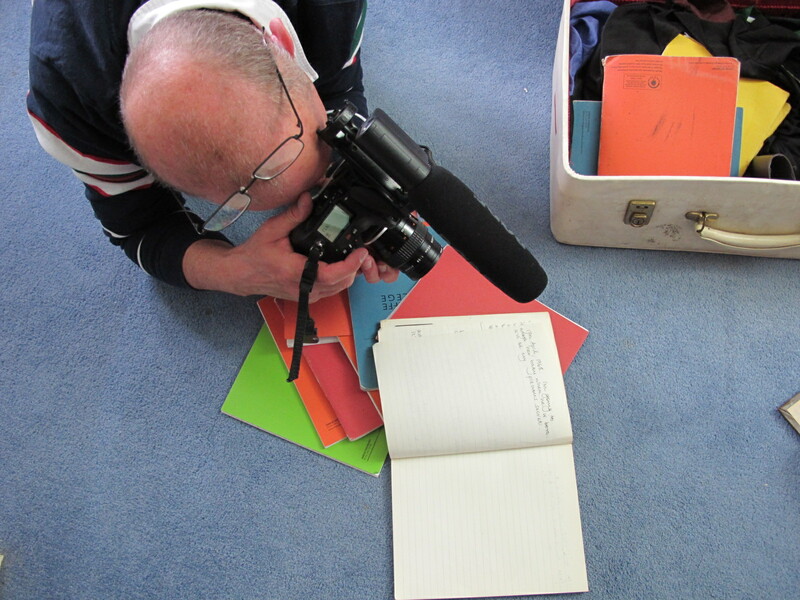 Filming, I discovered, means involves a suspension of reality: similar to writing. The door sequence was filmed in Leicestershire, but anyone watching the trailer will not know the house is not in London. Mist and mirrors! The sky was still dry and we moved inside for the interior shots. In continuity terms, this scene immediately follows the door knocker. Rose walks up the stairs, her hand trailing up the banister, into a bedroom where she opens a window and looks out. She is trying to imagine her birth mother living in this house as a young woman. This sounds straightforward but involved re-shoots from different angles. Jane must have opened and closed the window more than twenty times. The last scene filmed for the book trailer was ‘the finding of the diaries’. Ignoring Gravity is about two sisters who find the secret diaries of their recently dead mother Diana. Rose and Lily sit on the floor and sort through boxes from their mother’s wardrobe. We had a lovely old wardrobe, clothes and possessions spilling out. We had an assortment of props, hat boxes, shoes, glamorous hats, an old suitcase, and lots of exercise books. The camera concentrated on Rose finding the diary, opening it and reading the incriminating sentence. In the ‘find diaries’ segment you will notice a second set of knees which belong to Rose’s sister Lily, aka me! Does this qualify me for an Equity card, I wonder? No lines were said, so I think the answer is no. All that remained was for Simon to get his close-ups: of the black-and-white family photographs, the diary falling from Rose’s hands, and tight-focus on Diana’s words in the diary: “17th April, 1968. I’m going to adopt her baby when he is born. 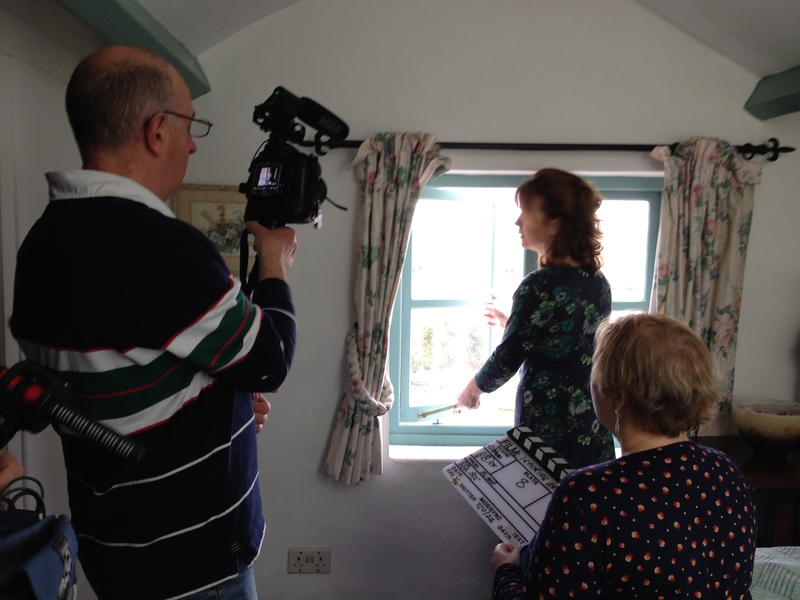 It’ll be my precious secret.” In truth my main role for the day was as tea-maker, bag carrier and script consultant. It was hard work and great fun. 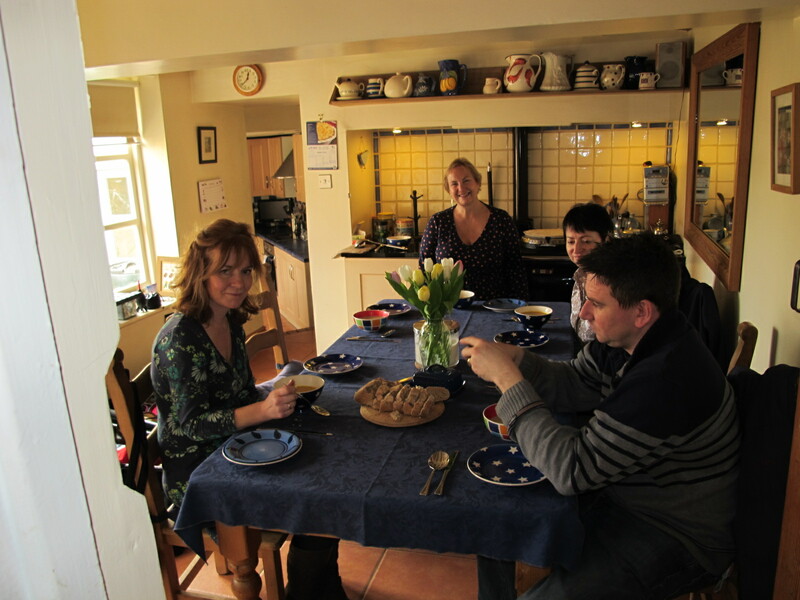 A big thank you to Nicky, Simon, Ich, Jane and Vicki; and especially to Nicky who was location scout, production assistant in charge of the clapper board, location caterer and provider of great cake. O wow, lucky you. He has amazing eyes….